When will be Ronny Chieng: International Student next episode air date? Is Ronny Chieng: International Student renewed or cancelled? Where to countdown Ronny Chieng: International Student air dates? Is Ronny Chieng: International Student worth watching? Ronny Chieng: International Student is the story of Ronny Chieng, a Malaysian student who has travelled to Australia to study law. All he has to do is study, get good marks and make his Mom proud. Well, that was the plan anyway. After accidentally loading a virus onto Asher's computer, Ronny goes on an epic quest to recover her assignment. Ronny realises he has feelings for Asher, so he joins the Law Faculty comedy revue to spend time with her. 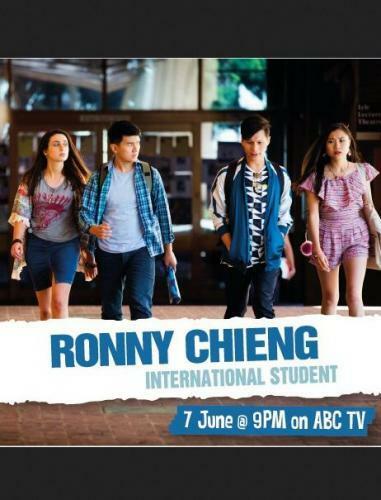 Ronny Chieng: International Student next episode air date provides TVMaze for you. EpisoDate.com is your TV show guide to Countdown Ronny Chieng: International Student Episode Air Dates and to stay in touch with Ronny Chieng: International Student next episode Air Date and your others favorite TV Shows. Add the shows you like to a "Watchlist" and let the site take it from there.